SAVE HUNDREDS OF THOUSANDS OFF A STANDARD BUILD COST!!!!!!!!! 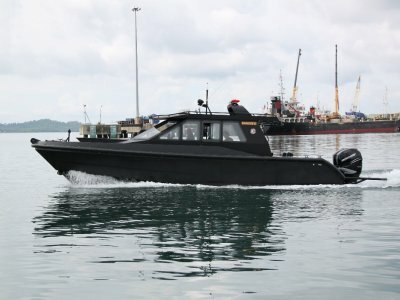 Saltwater Commercial Boats is the collaboration of "Saltwater Marine" in Fremantle and their partner, the massive "Jiangyin Marine Manufacture Group" in China. Founding owner of Saltwater Marine for 20 years "Brett Martin" has taken advantage of the raw aluminium manufacturing benefits and savings when dealing with China and has built and delivered over 400 recreational plate aluminium vessels since its partnership agreement over 4 years ago. 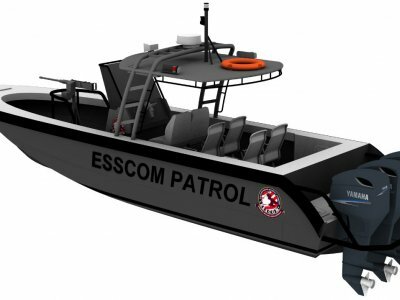 More recently, Saltwater has built and sold a range of commercial boats with full AMSA survey certification into Australia with great success to the likes of Berkeley River Wilderness Lodge, Swan River Trust and WA Maritime Museum, to the point where we can now offer a full range of Commercial Cray Boats for the Australian market. 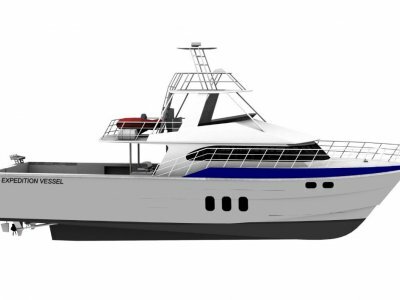 Our objective is to provide the market with a vessel which is around 35% less cost than its competitors while not compromising on any design standard, build quality or component supply and installation. We are extremely proud to have partnered with local naval architect Gavin Mair and his team at Global Marine Design in Perth. Global Marine has designed over 40 individual boats designs currently within the crayfishing industry in Australia. This was obviously a key component of building a vessel which was going to comply, not only to Australian survey requirements, but also a boat which we knew was going to "work". Having local people on the ground who know the rules and regulations and are able to make any required design changes. 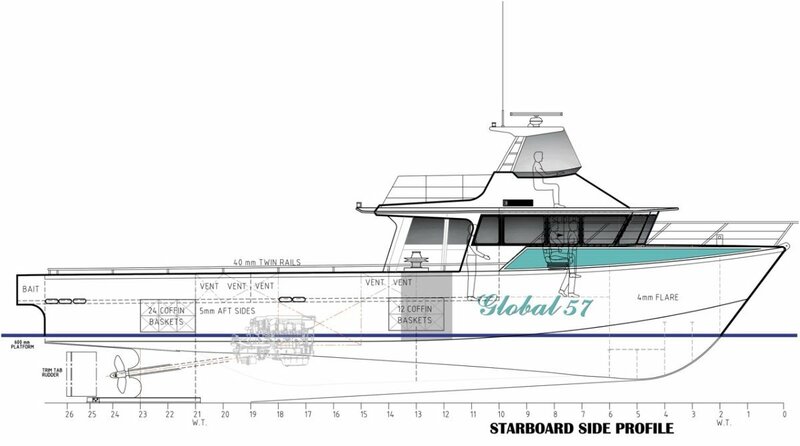 The flagship model we are offering within this spec is a brand new design from Global Marine and based on the enormously successful Global 54. Jiangyin Marine Manufacture epitomizes the spirit and capability of the global manufacturing giant of the world in "China". The scale of their operation is hard to imagine. With a workforce of over 6,500 spread across 3 factories. They are a family owned company and are one of the main suppliers to the Chinese Military. Their aluminium welding and fabrication standards are excellent, as is their ability to produce on time according to schedule. As part of the Australian survey certification and approval, a local (Fremantle based) Dept. Of Transport surveyor is sent to China twice during construction period to inspect all welding schedules are being followed and any other build aspects. 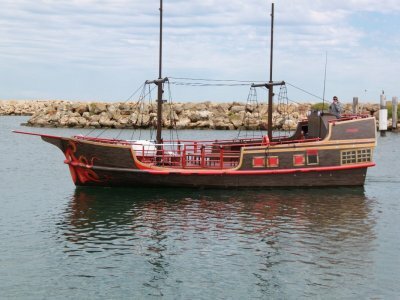 An integral part of this process is that the entire - purchasing, supply, installation and commissioning of every component in every vessel is done in Fremantle! This means - engineering, hydraulic, electrical, and mechanical! We are very proud to be associated with these reputable and experienced local companies. Simrad Electronics Aust, Phirex WA, Sealed Marine Windows.